'Furthermore, if you know that and believe this, then you will also go on to recognize that I am in you and you are in Me. Then you will realize that I am your Savior. You will acknowledge Me in the capacity in which the Father sent Me, and you will prove and show by this that you are in Me, namely, thus: that whatever you are, your failings and shortcomings, your sins, your damnation, your death, are all in Me. That is its proper place. And now I am in the Father; and what is in Me is also in the Father, whether it is called death or life, sin or righteousness. But whatever is in Me must necessarily be perfect righteousness, life, and salvation. 'By faith you also come to be in Me with your death, sin, and every trouble. If you are sinful in yourselves, you are justified in Me; if you feel death in you, you have life in Me; if you have strife in you, you have peace in Me; if you stand condemned on your own account, you are blessed and saved in Me.' For, my dear man, where am I if I am a Christian? Nowhere else than where Christ is. But where else is He but in heaven, in eternal life, joy, and bliss? And He, of course, will not be condemned to death as a sinner any longer. Since no sin can accuse Him, no devil can damn Him, no death can consume Him, no hell can devour Him, I must remain undamned and undevoured; for I am in Him. 'Consequently, sin, death, and every trouble in you are gone. For all this I destroy in Myself.' It cannot abide in Him, since He is and remains in the Father. And it can have no power in us either, because we are in Him." Modern Charismatic: What Spirit is Really Speaking Through Them? Pr. Chris Rosebrough of Kongsvinger Lutheran Church, Oslo, MN provided a very useful review of the chaos and misdirection among Charismatic Christian preachers today. What you will notice in the first three sections of the program is that some of these preachers sound like they have lost rationality or are possessed by demons. Behind what they are saying is the fact that they look to their hearts and imaginations to find out what they think is God's will and have abandoned Scripture as the only sure voice of God. In the final section Pr. Rosebrough presents a sermon by Phil Johnson that presents a very good Biblical examination of the false teaching in the modern Charismatic movement. The preacher, Phil Johnson, is not Lutheran and does not fully and properly direct the listeners back to the Means of Grace in Word and Sacrament. But he does have a sound enough understanding of Sin and Grace and the authority of Scripture to make his presentation of great value to the listener. • More Open Mic "Prophecies"
• Good Sermon by Phil Johnson: Did God Promise Health and Wealth? Pr. Joe Abrahamson continues his series on Luther’s Small Catechism. This time we discuss the Sacrament of the Altar. What is the Sacrament? What does it deliver? Who receives this sacrament worthily? What should Christians do when they visit another congregation in their fellowship? Should pastors ever not allow someone to commune? If so, why and how do they handle that? 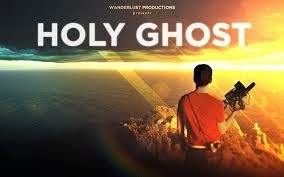 The Holy Ghost movie is getting a lot of promotion in mainstream American Christianity. But the movie is filled with false doctrine and the fraudulent tricks of con-artists. These cons, tricks, and false doctrine are credited to the Holy Spirit. Simple cons used include Cold Reading, Warm Reading, and Leg Growing. All demonstrable frauds. False theology including a denial of Deuteronomy 18:19ff where God says that if a person speaks prophecy and it does not happen that person is a false prophet, he or she should not be trusted. But the HG movie contradicts this saying that it takes practice to get things right. This goes hand-in-hand with the practice of cold reading. Pr. Joe Abrahamson joins us to resume our series on Martin Luther’s Small Catechism. In Part 9, we discuss the Fifth Chief Part (or is it the Sixth?) on the Office of the Keys and Confession. Who can hear confessions? Who actually forgives? And why would a Christian actually want to go to his or her pastor to confess sins?